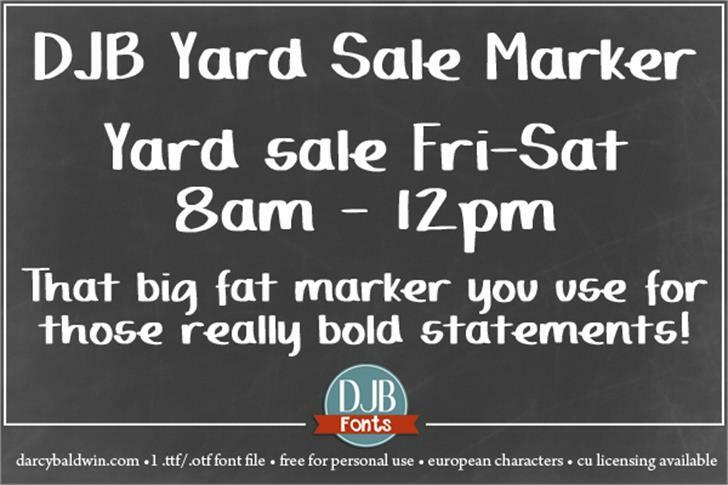 DJB Yard Sale Marker harkens to the big fat chiseled markers that you used to love to use when you were a kid. This hand drawn font is full of chiseled edges and thick curves, giving it a unique, hand written look. 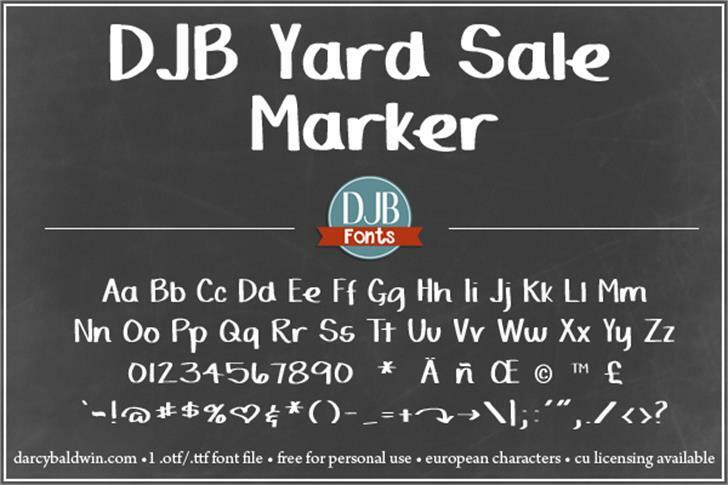 This font contains 1 .ttf/.otf font file with full upper and lower case alpha, numbers, most punctuation, arrows, a few dingbats and European language glyphs. 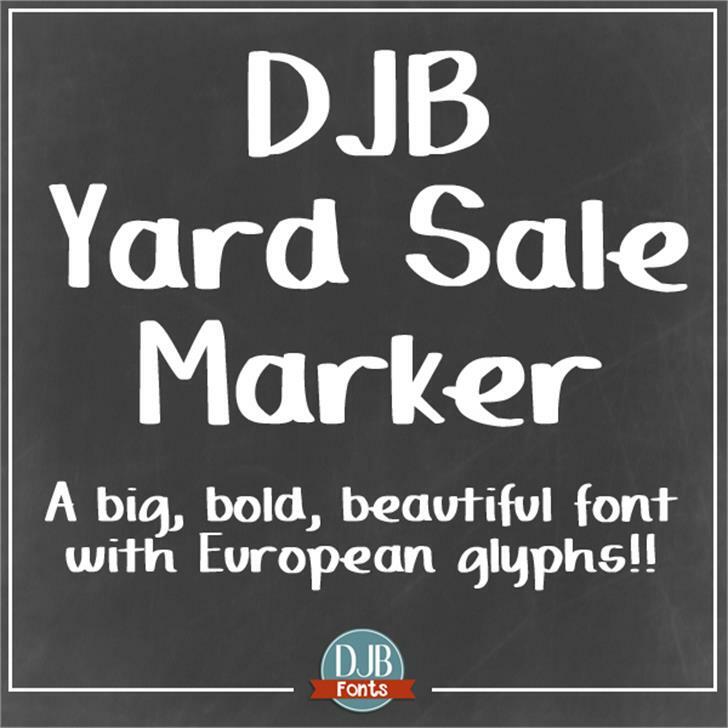 Follow me on https://www.facebook.com/DarcyBaldwinFonts/ for new releases and news!